This is another question that we get asked frequently by individuals doing SEO. The answer: It depends on how many relevant contextual incoming links (backlinks) you have pointing to your site from other authority sites within your general topic area. What do we mean? When it comes to more competitive niches and keyword terms, it is often the off-page factors that count and will determine your success in getting on the first page of organic results. The off-page factors are primarily concerned with link building techniques to (a) get you quickly indexed and (b) to get relevant contextual incoming links or backlinks. 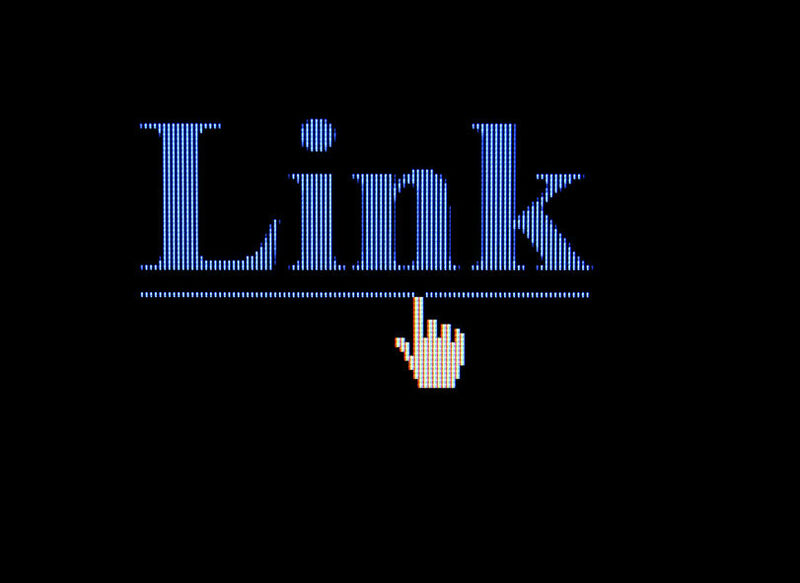 Of course, not all links are created equally and while it is true that good content is king in SEO, one-way relevant contextual link building is the king maker. There is sort of a linking matrix that you should be aware of and it is based on three factors which greatly influence linking values and your subsequent ranking on the search engine results pages (SERPs). Here are the factors or variables that influence the quality of your links. The contextual anchor text of the incoming link. The “Authority” of a site is typically defined as the aggregate relative weight of a site’s subject matter depth as measured by its organic footprint when compared to other similar websites in its specific niche. The authority of your website is used to gauge your site’s ability to successfully compete for significant keyword search phrases within your market niche. Translation: the more content pages you have based on the topical relevance and subject theme of your site, the more links you will likely get to your content, the more likely users will share your pages, the more authority you have within your market niche, the easier it gets to get higher rankings for the more competitive keyword terms and thus greater search visibility. The point is that a site’s authority has an impact on the intrinsic value of its outgoing links to other sites. Generally speaking, the more authority a site has, the more valuable the source of the incoming link. Understanding site authority and the associated linking source clearly demonstrates that there is a linking hierarchy and that not all links are created equal. The point is that the right type of links will allow you to get to the top more quickly than others in this linking hierarchy. Forum signatures, blog comments, thread exchanges have marginal link value, e. g., they are better then no links at all. Equivalent to the High Card Poker Hand, namely, in the event that no hand is made, the person holding the high card wins. Next in line are links from low authority websites or blogs that are unrelated to your topic containing generic anchor text in place of your targeted keyword or keyword phrase. What we mean by generic anchor text is a link containing contextual words not related to your targeted keyword phrase. The most common example of this is the use of the term “click here” to create the hyperlink. The next most common instance is your business name or your website name which is not as powerful unless those names are your targeted keyword phrases. These are links from websites or blogs with low authority, the site is related to your topic or subject area, and the incoming link is generic anchor text in place of your targeted keyword or keyword phrase. These are links from good authority websites or blogs unrelated to your topic containing generic anchor text in place of your targeted keyword or keyword phrase. Links from good authority websites or blogs related to your topic containing generic anchor text in place of your targeted keyword or keyword phrase. Links from websites or blogs with low authority unrelated to your topic that have your target keyword (or keyword phrase) as the anchor text. These are links from websites or blogs with some authority related to your topic that have your target keyword (or keyword phrase) as the anchor text. These are important and are typically achieved through tactics like article creation, guest blogging, related social media sites and reputable directory submissions like Yahoo and DMOZ. If you get a cluster of these links (say from 6 to 30), you will improve in your rankings. More competitive niches will take longer and more of these types of links to rise higher. Most importantly, links like these can outweigh other sites containing hundreds of generic incoming links. These are links from highly respected (authority) websites or blogs unrelated to your topic that have your target keyword (or keyword phrase) as the anchor text. Links like these will help you move up in the search results for your target keyword or keywords – especially if you can acquire several of these. For example, an article on an online news site that has decent authority within its niche gives you a contextual link with relevant anchor text that says “best dining in Portland Maine” to your restaurant website in Portland Maine. These are links from high authority websites or blogs related to your topic which have your target keyword (or keyword phrase) as the anchor text. It doesn’t have to match up exactly but a relevant contextual link from a closely related authority site to your site theme and keyword set will significantly influence your rankings. These can carry a lot of weight and represent the pinnacle of all links. For example, if you have a web site about Camden Maine Travel and a blog about Maine Tourism with a great deal of authority within its niche and that site links to you with the relevant contextual anchor text, “Camden Maine”, then you will likely get a boost in the Google Search Engine Results Pages (SERPs) for the search term “Camden Maine”. The two most important variables are the anchor text and the subject matter of the linking website. You could have a couple hundred generic links based on your site’s name or business but unless the keyword phrase or variation of it is in the linking text, then all it takes is a few high quality contextual one-way links to offset all those generic links. That’s why many savvy web marketers and their ilk place so much importance on getting high quality incoming links – the Full House to Royal Flush kind while most people end up getting the Pair to Flush equivalents. There are several important caveats to keep in mind concerning external links given Google’s recent ranking algorithm updates. Since Google’s latest algorithm updates, Google has started putting a lot of weight into links which are contextual and relevant and which are surrounded by unique content and a natural linking profile. It is important to keep the percentage of “keyword-based” contextual anchor text links pointing to a web page between 10-20% of the total link count of that page. Google’s recent algorithms frown upon and can even penalize you if you build too many contextual links using your specific keyword terms. Common sense suggests that most people voluntarily linking to a website are very unlikely to just happen to coincidentally use the proper keyword phrase in the resulting anchor text link. For external link building, you should not go above 20% targeted anchor text link building. This is the point Matt Cutts (lead Google search quality guru) is making when he talks about the “over-optimization” of links. It stands to reason that too many “exact match” contextual anchor text links as a percentage of the total link count pointing to a specific web page will trigger a “devaluation” of the link authority for that page. For any given web page linking profile, 80% of the incoming links to a web page should be made up of generic links, domain name links, brand name links as well as other various non-descriptive links. This is common sense because most people linking to your site will simply use generic links like “click here”, “visit this page for more info”, etc. For the 20% of external anchor text links, build a variation of contextual links to the most relevant pages according to the following formula: 25% exact anchor text and 75% split amongst 3-4 variations of the target keyword phrase to the same page. Diversify your anchor text by using synonyms and long tail variations. Google is looking for natural link profiles and will likely ignore over optimization of exact match contextual links (too much overly optimized exact match anchor text may be seen as a signal that will be weighted differently by the algorithm). The revised Google algorithm is also factoring for external tiered linking, e.g., links for your backlinks. In other words, if the sites from which the originating posts exhibiting your article with contextual backlinks also have incoming external links pointing to their pages, the effectiveness of the contextual backlinks are magnified. Google is now factoring for external citations/references/reviews and links from other Social Media sources, e.g., social signals of influence in terms of consumer or viewer engagement. Authority in this context is currently assessed as a “quantitative value” generally determined by the measure of known subscribers, e.g., Facebook Fans, Twitter Followers, TripAdvisor reviews, Yelp citations, etc. We believe that this “social signal” factor is currently small and being “tested” in the Google algorithm but will play a much larger role in upcoming versions. Bear in mind that the right contextual anchor text is the most important part in getting links – not the PageRank of the page sending the link. PageRank is certainly an important consideration and if you get it, it certainly has an impact, but it is not necessary in order to rank well. The point is that there is a hierarchy when it comes to the issue of link quality. Understanding that hierarchy leaves you in a better position to make choices on how to possibly approach much more competitive niches. It does not mean that you have to acquire only “Royal Flush” type links when the “Three of a Kind” to the “Flush” kind are much more attainable and, more importantly, all that you might need. Finally, some of the niches that our clients are competing in are typically not that cutthroat and we are sometimes surprised at how few quality links it takes in order to rise in the organic search listings. The key consideration to keep in mind is that most of the competition in a specific niche is unlikely to have optimized contextual backlinks to begin with. Any link from the “Straight Equivalent” to the “Full House” equivalent variety will probably be 90% more effective then the natural links that the competition has likely garnered over time. The point is that the quality of your backlinks are very important in influencing your SERP rankings. It is important to understand that not all links are created equal and the right type of links will allow you to get to the top of the SERPs over time.